For some time now we have been surveying the Conondale Range in Queensland for a small dwarf group crayfish Euastacus urospinosus. It’s a species with very specific habitat requirements that occurs in a relatively remote area. 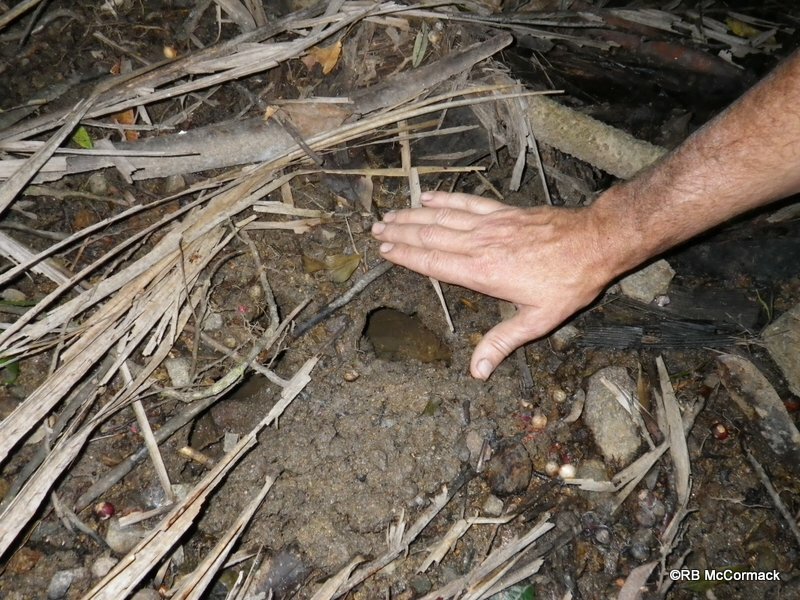 They prefer the deep rainforest valleys but the logging roads in the area are all along the top of the ridges so if you want to survey the area for these crayfish you need to abandon the roads and scramble down the mountains through the forests into the lush creek beds below. That makes for some exciting and exhausting surveying. It’s satisfying when you find them but exasperating when you search high and low with none to be found. Nothing for it, just drag yourself back up the mountain and do it all over again at the next potential site. Project 100059 has finally been concluded (May 2012), we feel we have enough information to confirm our initial findings and future researchers can expand on our surveying results. 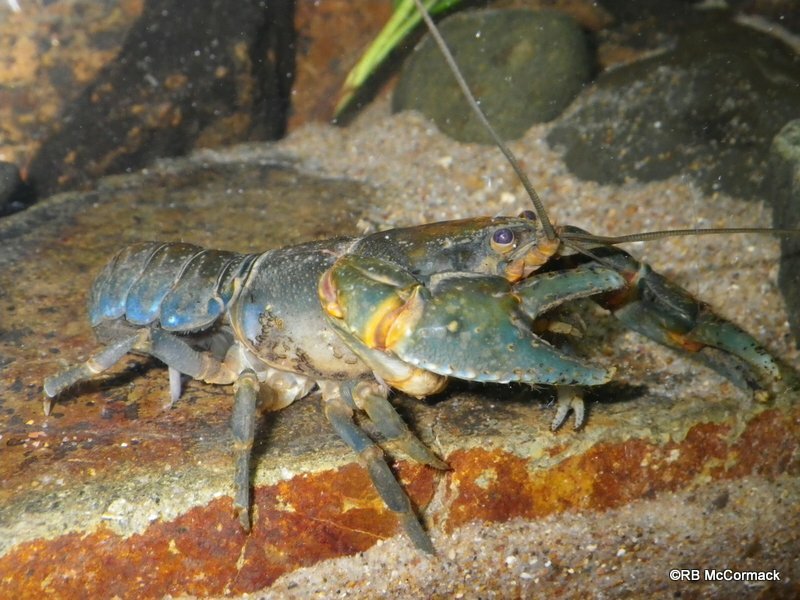 We managed to identify 16 sites where Euastacus urospinosus were abundant in 6 new streams in two catchments. A paper has been written and is currently out for review so stay tuned as we will advise when published. Rob McCormack (left) and Paul Van der Werf (right) researching Euastacus urospinosus. 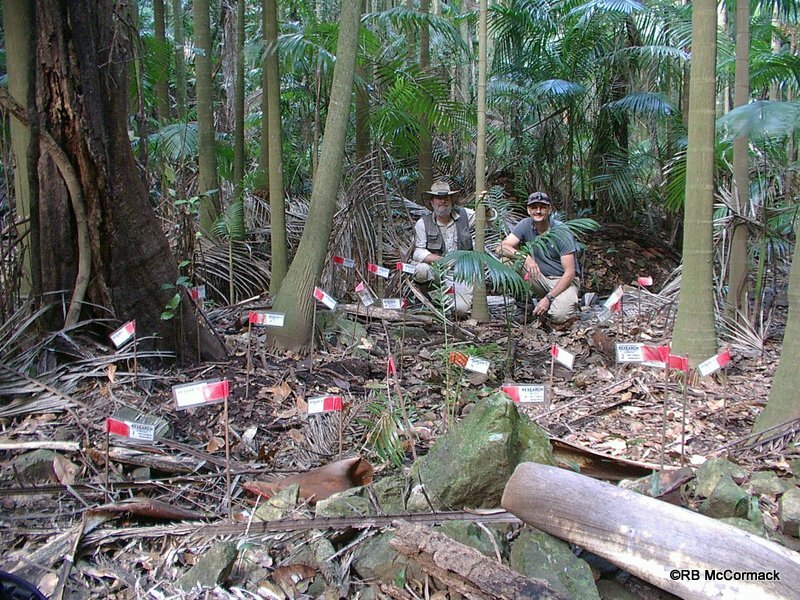 Each flag represents a burrow entrance in the rainforest floor.